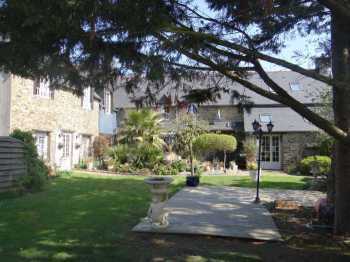 Properties for sale in Brittany, France - AHIB-3-KL-2276 Saint-Malo 35400 A fantastic opportunity to buy this well established beautiful b&b situated on the seafront of the bay of the Mont Saint Michel. 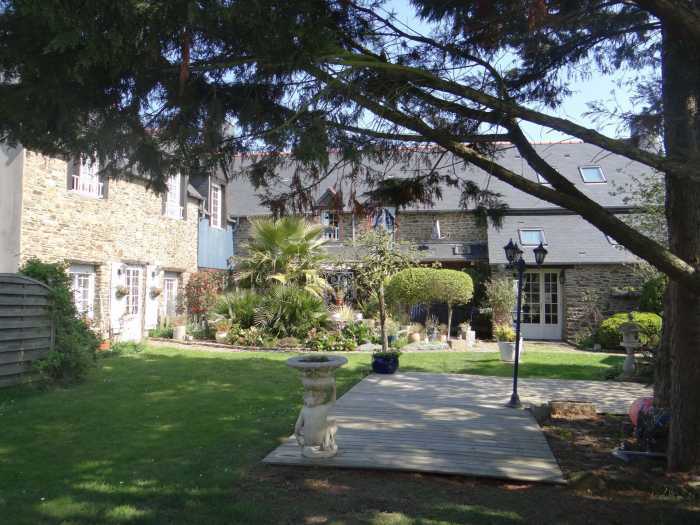 AHIB-3-KL-2276 Saint-Malo 35400 A fantastic opportunity to buy this well established beautiful b&b situated on the seafront of the bay of the Mont Saint Michel. 10,000m2. The current owners also provide evening meals and the space available lends itself to continuing this as a table d'hote or maybe looking into opening up as a restaurant. Being right on the sea there would be no shortage of beautiful meals to create from the local produce and plenty of passing trade in this tourist hotspot. The owners have a licence IV for the bar. Mezzanine area currently with tables laid out for breakfast, lovely stone walls and views to the sea.